At our 5 Star preschool we build heartfelt relationships and long lasting memories that leave you with the comfort and knowledge that your child is in the best possible care. We cannot wait for you to become part of the Children's Cottage Family! We make growing and learning fun through our infancy, preschool, and school age programs. Let our team provide positive early education for your child. Learn more about our school's admission requirements, enrollment procedures, and parent involvement opportunities. Let your child begin his Children's Cottage journey today! First week tuition free for new students! Contact us at (910) 681-1101 to register. Encourage your child to become a life-long learner when you enroll him at our school. 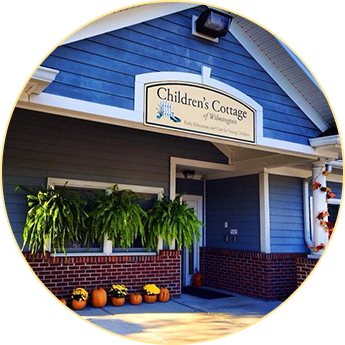 Children's Cottage of Wilmington offers specialized care from infancy through school age. Our team prioritizes the individual developmental needs and interests of each child to make sure he reaches his maximum potential. In business for more than 10 years, our philosophy is to provide an environment that fosters the growth of the whole child in all areas of development including social, emotional, gross motor, cognitive and creative learning, with the ultimate result being a happy, healthy individual, ready to explore! Our school utilizes "The Creative Curriculum," a specially developed program that is based on the concept that children learn through hands-on play. Our curriculum fosters the holistic development of each child. Our children are given many opportunities to explore and interact with their environment. Our staff are Early Childhood Education graduates and hold certifications in CPR and First Aid. They continue to receive additional training during their teaching career with us. 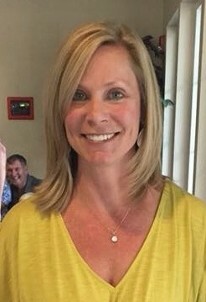 Our owner and director, Amy Kirk, holds a Masters Degree in Education and is a former elementary school counselor and mother of four wonderful children! With her experience in education and her love for children, she became inspired to establish Children's Cottage of Wilmington in 2004. Since then, it has grown and become a parent favorite! With our passion for teaching and nurturing children, our low classroom ratios, and our beautiful and cozy facility, we are able to provide children and their families with an unparalleled, warm and loving environment. We look forward to meeting you and your little ones! We are located in the Porters Neck area of Wilmington.